The gold price changes daily on the world market. 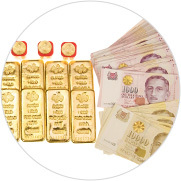 GoldBuyers Singapore always pays you the best price possible for your gold. We even guarantee that we pay the best price in Singapore for your gold. 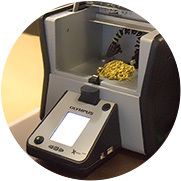 GoldBuyers Singapore always pays you top price for your gold. Our motto is Trust - Integrity - Confidentiality. GoldBuyers pays a high price for gold! 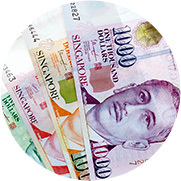 GoldBuyers Singapore makes it easy to sell gold. You can always visit us at 45 New Bridge Road to sell gold. Valuation is free of charge. It should always be easy and secure to sell gold. That's why we have no valuation fees when you sell gold to us. At GoldBuyers Singapore, we set our gold and silver prices based on the international spot prices of gold and silver. You can always get an indication of the value of your gold by using GoldBuyers Price Indicator. Gold jewellery such as gold rings, gold bracelets and gold necklaces often contain less than 24K gold. 22K and 18K are the most common karats for gold jewellery followed by 9K, 10K and 14K. The price quote you receive is based on the gold weight and gold purity of the item as well as the gold price. GoldBuyers Singapore also buys silver and platinum. Silver jewellery often contains 92.5 % silver i.e. so called sterling silver. Silverware can however vary in purity with purities of 80 % - 92.5 % being the most common. Visit us for a free valuation if you are unsure about the purity and value of your gold, silver or platinum. Free valuation of your Gold & Silver & Platinum in our shop at 45 New Bridge Road. Guaranteed Best Prices in Singapore! Instant payment with Cash or Cheque when you sell to us or bank transfer to your account if you so prefer.